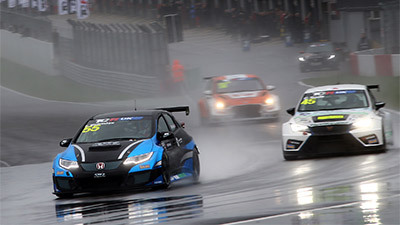 Touring car newcomers SWR enjoyed a strong start to the inaugural TCR UK Championship season on home soil at Silverstone National Circuit over the weekend, 31st March/1st April, with racing returnee Howard Fuller posting a best finish of fourth place. Taking the result in the second of Easter Sunday’s two half-hour races, finishing just a couple of seconds shy of the podium, the 25-year-old was fifth in the season-opening contest and concluded the race meeting fourth in the championship standings, only nine points outside the top three. “All in all it’s been a good weekend”, said SWR team principal Ken Page, “Howard hadn’t driven the car properly until the test on Friday, and the weather was changing all the time, so I think driver and team have done a good job and we’re happy to come away with fourth and fifth places. We know a lot of the others have done more running, so we’re pleased with how the first weekend has gone. 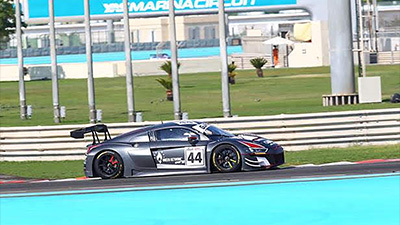 Acclimatising well to the SWR Honda during rain-hit testing on Friday, 30th March, TDI North, RBC Project Management, SAS Energy, ASV and Supercaritalia-backed Fuller ended the three sessions fourth fastest on combined times with a best lap of 59.561 seconds during the drier middle run. Following a warm-up session and subsequent practice on Saturday, qualifying later in the afternoon began on a wet track and the conditions remained tricky throughout. Making a bold strategy call to bolt on some slick tyres for the closing minutes, Fuller got quicker and quicker and ended the session third fastest with a time of 61.241 seconds – just 0.2 seconds shy of the front row. 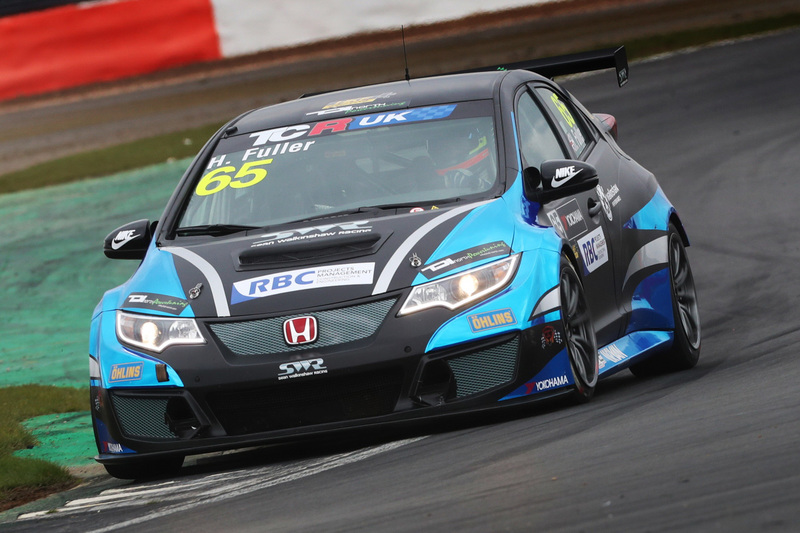 So, on Easter Sunday, history was made with the first ever TCR UK race but the start didn’t go as planned for Worcester Park racer Fuller when he bogged down off the line and so slipped from third to seventh on the run through Copse and into Becketts. Determined to make amends, he swarmed all over Carl Swift’s SEAT and on lap three the pressure told with a spin for his rival at Brooklands. Duly moving through into sixth, Fuller quickly closed on Lewis Kent and with a great cut-back into Brooklands on lap five he smartly claimed fifth. With the lead quartet already a long way ahead, Fuller pulled away from the pack behind and had a lonely race until the final 10 minutes when Finlay Crocker began to close in. Crocker mounted a challenge at Becketts late on but Fuller held him off well and went on to seal fifth. 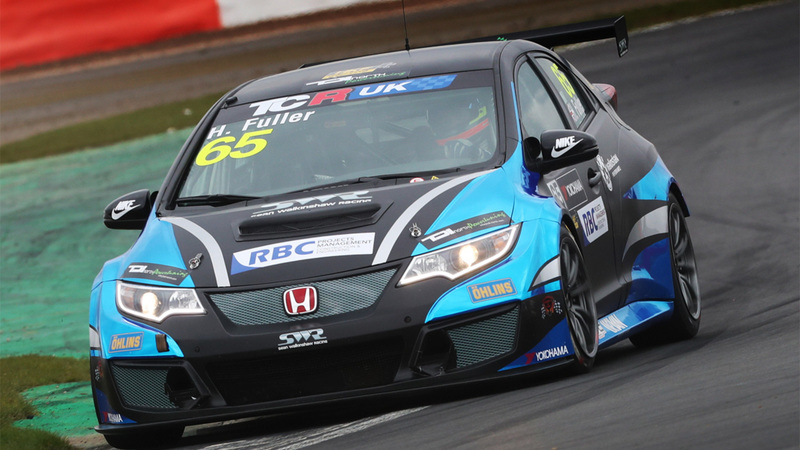 Fuller was due to begin the ‘reverse grid’ second race from sixth but, as a result of a penalty for another competitor, he was effectively fifth. Making a better initial launch this time, Fuller was boxed out through Copse and into Becketts and emerged onto Wellington Straight in eighth position. Pressuring for seventh, the SWR racer managed to get the place into Copse at the beginning of the third tour from Swift and he then set his sights on fellow former BTCC racer Stewart Lines who he passed for sixth place on lap four. His next target was the SEAT Cupra of Olli Kangas and after running in close company for several laps, Fuller made his move on lap 11 to break back into the top five. 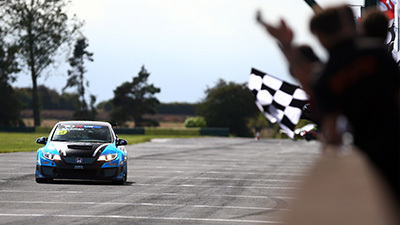 As in race one, having been held up during the early laps, the gap to the lead quartet was too big to surmount, although he did edge closer to Ollie Taylor’s Honda during the latter stages. Then, with three laps to go, the second placed Alfa Romeo of Aiden Moffat dramatically slowed and so Fuller moved up into fourth. Lapping faster than Taylor ahead, the SWR man got ever nearer and at the chequered flag on lap 31 he was just two seconds shy of the podium. “What a fun weekend it’s been”, said Fuller, “From my perspective with my performance, I think given the circumstances – eight laps prior to coming here, in the damp at Donington, and then mixed weather for the Friday test – overall it’s been pretty good. I’m happy with the results, the car has come back without a scratch and the team has some great data to move forward with. 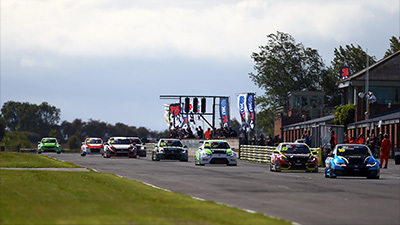 Next on the TCR UK schedule is a visit north of the border to Knockhill Circuit in Scotland over the weekend 12th/13th May.